Are you interested in working together to make our neighborhoods safe and beautiful? 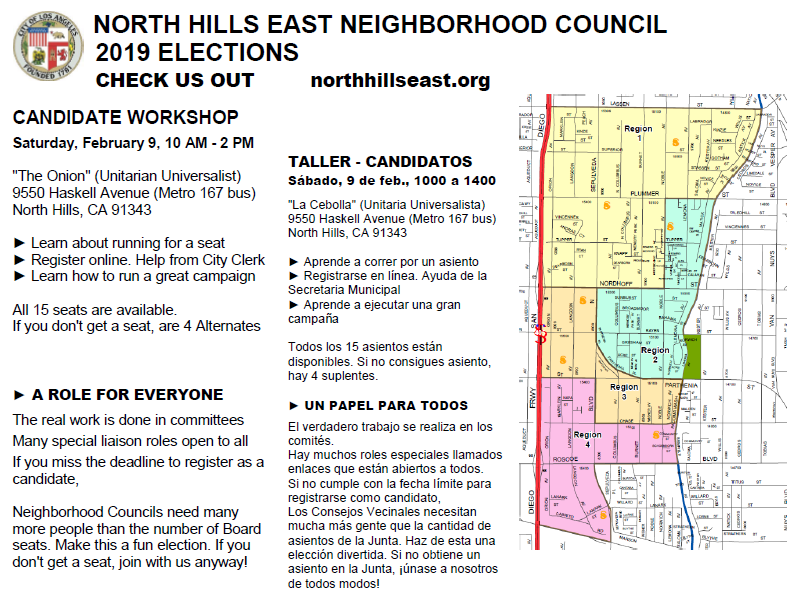 Run for a seat on the North Hills East Neighborhood Council. All seats are up for election. Each elected Board Member serves for two years. 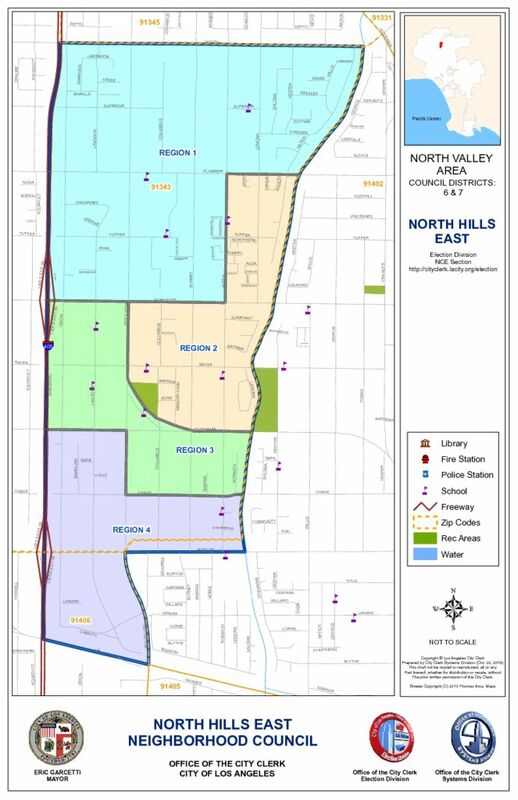 As the 92nd Neighborhood Council certified by the City of Los Angeles, the North Hills East Neighborhood Council is a grassroots organization whose mission is to promote and honor the diversity of North Hills East; to strengthen, educate, and beautify our community and act as a liaison between the Stakeholders of North Hills East and the City of Los Angeles. Everything you need to know about Neighborhood Council service is packed into a brief 3-1/2 minute What It Means To Be A Candidate Video. You can! 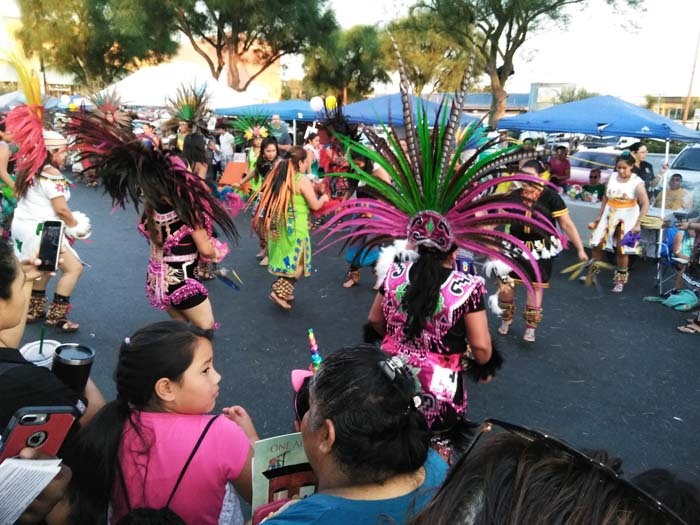 People, 14 years old, who live, work, own property, or declare a substantial and ongoing Community Interest in our neighborhood can run for a seat. Sign up on the Candidate Registration Portal starting January 12, 2019. Or complete this Application in Spanish. 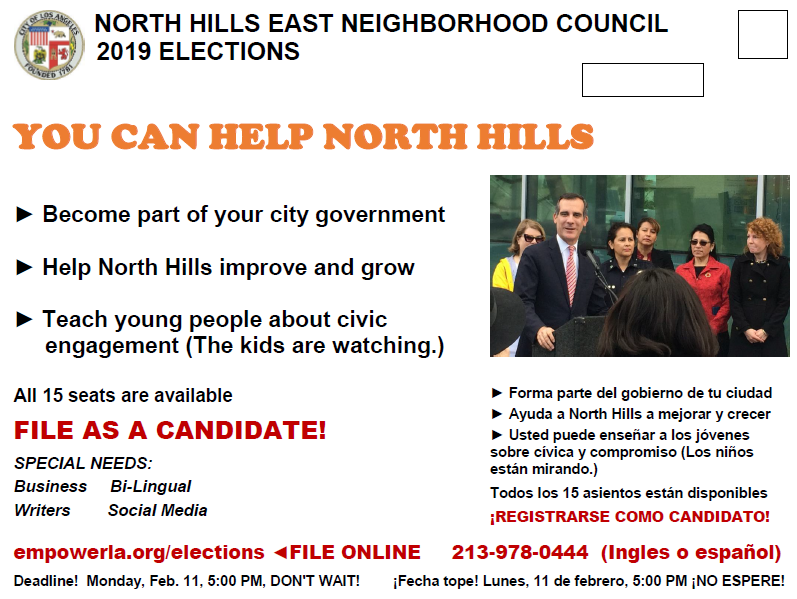 Learn more with the Neighborhood Council Candidate Information Guide. Click on the map for a larger view What is the election timeline?